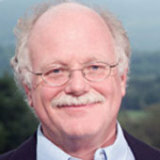 Ben co-founded Ben & Jerry’s and pioneered its values-led business practices. His innovative marketing engaged the company on progressive issues and campaigns that produced meaningful change while building the iconic brand based on meaning. Ben was central to the creation of the national networks Businesses for Social Responsibility and Social Venture Network.